Friends task weekend part one saw our volunteers successfully clear out a blocked ditch alongside the Arun Way bridleway as it reaches the base of Horsham Hill. With thanks to Dave Verrall, James Leggett, Ian and Leigh Moore and Tim Thomas. 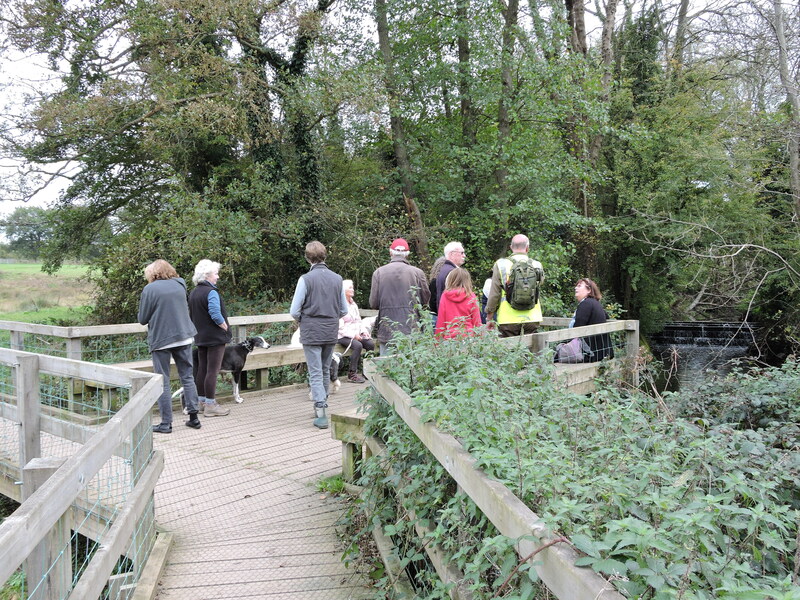 Our Autumn Walk event, the same weekend, vividly shows the trimming needed to the boardwalk area. For our task weekend part two, the boardwalk and surrounding area were cleared. Many thanks to Veronica and Jim Ashworth, Adam Lea (not pictured) and Tim and James for their superb efforts, battling stings and scratches. Refreshments for all events co-ordinated by Pat Dancy. Thanks also to the HDC warden team for clearing away many bags of green debris.